Don't Miss Rob's First Post! So why is Rob writing a blog anyway? Read here to find out. Communication with the railroad is critical to everyone's safety. 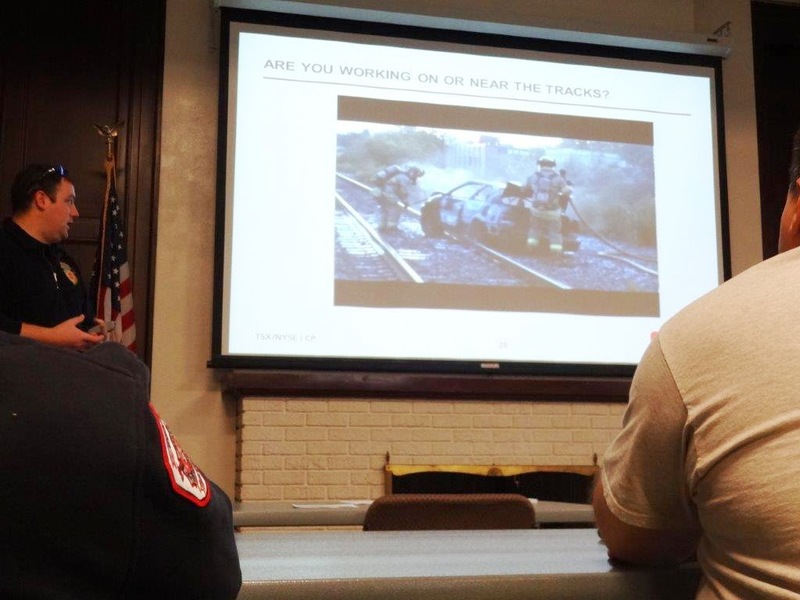 Occasionally first responders describe a recent call as “a train wreck.” Of course typically they were not referring to an actual problem with a railroad, but rather they are referring to a car crash, fire scene, hazmat scene, or tactical operation. The term has come to mean a complicated, serious, difficult, and dangerous call that taxed the responder’s abilities to safely handle it. CP Rail held two of their “Railroad 101” classes at the SCALE Training Center near Jordan recently, and the attendees learned about handling real train wrecks, as well as other emergencies on the railroad right-of-way. Ed Dankbar, a HazMat Field Specialist for CP Rail, walked the class through how railroads work and what the responders needed to know to operate safely around trains and on railroad property. The content shared was a mixture of new information, as well as a reinforcement for existing protocols of situational awareness, communication, incident command, pre-planning, and importance of scene size-up. A Union Pacific Crossing ID number. One of the key takeaways from the class was the importance of quickly letting the railroad know the location of the incident—in railroad terms. Telling them “County Road 10 at the tracks” is not very helpful, nor is the number on the locomotive. 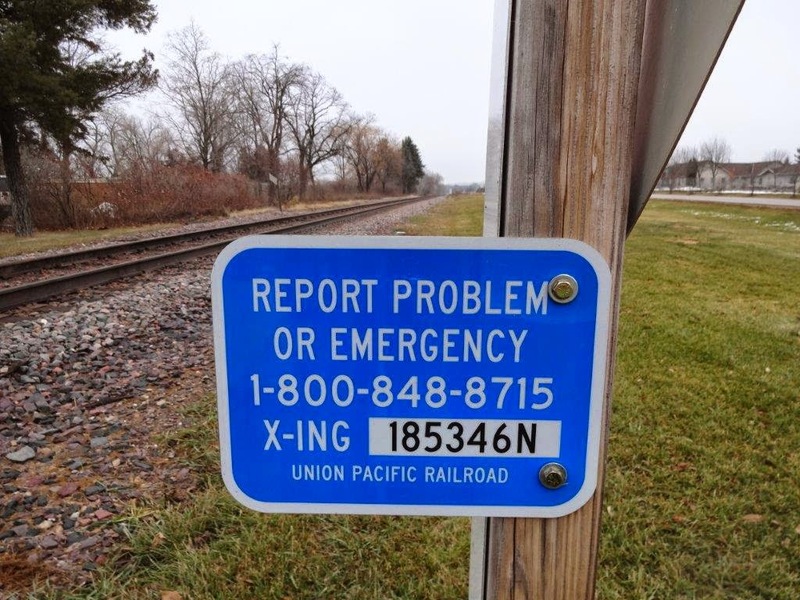 Instead, the class covered where to find the “DOT Crossing Location Numbers” and mile posts, and how to communicate that to the railroad so they can stop other rail traffic in the area and respond to the incident with their resources. Mr. Dankbar explained the importance of first responders using their four gas meters to determine if there is anything in the air that is hazardous. The meter can provide the IDLH (Immediately Dangerous to Life and Health) numbers for four common gases. There was information on how to find and read the “waybills” to learn what materials are in what cars on the train. The class covered locomotives, brake systems, couplings, and all types of rail cars, including pressure and non-pressure tank cars. It covered how the railroad handles hazardous materials and outlined the expected response from the railroads in a serious emergency. The class asked questions, and all of them volunteered to stay after the class ended to learn more about the emergency response and equipment available from the railroad. It was an excellent course, and it gave the responders the knowledge on how to safely manage an emergency scene involving a railroad. Up Next…Envelope Stuffing: The LMCIT Dividends Have Been Mailed! In the meantime, stay safe and be careful. Meet Our New Public Safety Specialists! The League of Minnesota Cities Insurance Trust (LMCIT) recently welcomed two new members to the Loss Control team. They both bring experience, training, and a knowledge of cities with them as they move into their new roles assisting our members in reducing losses. Tracy and Troy will apply their wealth of experience in the areas of public safety and public works to their duties as field representatives. Tracy recently retired from the Maple Grove Police Department where he served in a variety of positions, including patrol officer, investigator, patrol sergeant, emergency response unit team leader, sergeant of investigations, services captain, and patrol captain. Previously he served with several rural police departments in McLeod and Sibley Counties and was also employed as a special deputy with the Sibley County Sheriff’s Office. Tracy has a Master of Science degree in criminal justice from St. Cloud State University and a Bachelor of Science degree in law enforcement from Mankato State University. His training also includes numerous executive level management and leadership development courses. Tracy is a certified emergency manager through the MN Department of Public Safety, Division of Homeland Security and Emergency Management. He grew up on a rural farm in McLeod County. Tracy started with the League of Minnesota Cities on November 17 and will be working as a Loss Control Consultant covering the Northeast Region of Minnesota. Troy is a state-certified Firefighter 1 & 2 with 16 years of service in the City of Victoria Fire Department and is the current Assistant Fire Chief and Fire Marshal. He is also state-certified as a Fire Instructor, Fire Officer, and a Public Fire Educator. Troy holds an Associate’s Degree in Fire Science Technology from Hennepin Technical College. He is also a Hazardous Materials Technician and a member of the Carver County Hazardous Materials Group. Troy is a National Registry Emergency Medical Technician (EMT). For the past 14 years, Troy worked in the Public Works Department in Victoria. He most recently oversaw the Streets and Storm Water Divisions. He was a member of the city safety committee and oversaw the safety training and safety policies for the City of Victoria. He holds a Class-D Water License from the Minnesota Department of Health and a Class-SC Wastewater License from Minnesota Pollution Control. He will receive his Road Scholar Certification from Minnesota Local Technical Assistance Program or MnLTAP in May of 2015. Troy was born, raised, and still resides in the southwest metro community of Victoria. He has a long history with the community and its city departments. Troy started with the League of Minnesota Cities on November 17 and will be working as a Loss Control Consultant covering the Southwest Region of Minnesota. Rob Boe is the Public Safety Project Coordinator with the League of Minnesota Cities Insurance Trust (LMCIT). 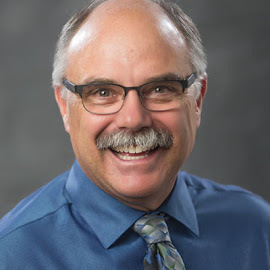 Previously Boe worked for nearly 40 years in public safety—as a peace officer with the Prior Lake Police Department, as chief deputy with the Scott County Sheriff’s Office, and as a firefighter with both the Burnsville Department of Public Safety and the Bloomington rescue squad. His work with LMCIT’s loss control program focuses on researching and understanding the causes of public safety losses, developing new programs to reduce losses, and launching new efforts to keep public safety workers safe on the job. LMCIT is a member-driven organization that exists solely to meet the risk management and insurance needs of Minnesota cities. LMCIT's property/casualty program has more than 1,100 members, and the workers' compensation program has more than 900 members.